Other property markets have slowed but the records keep tumbling in the hot Wairarapa and Tararua property markets. 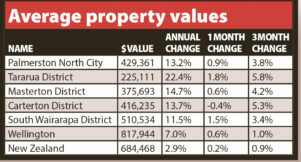 Tararua had the third-biggest gain in property values in January compared with a year earlier. 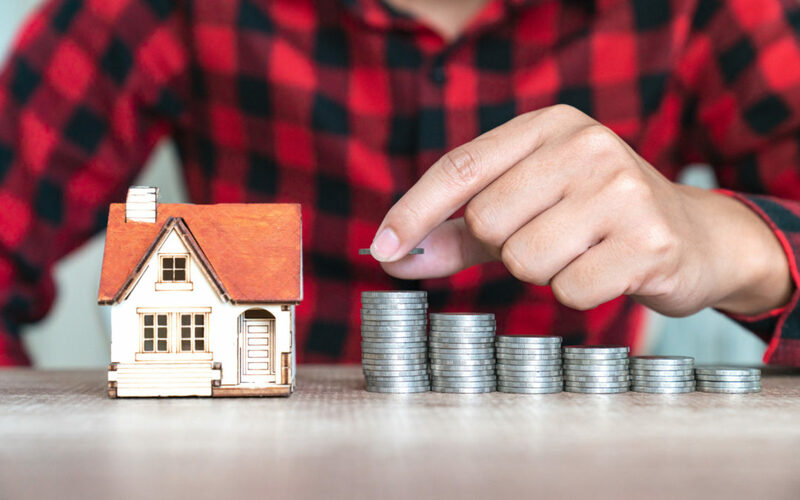 The 22.4 per cent rise in a year to an average value of $225,111 in January, was only beaten by Wairoa at 32.8 per cent and Kawerau at 30.7 per cent. Masterton notched up a 14.7 per cent gain, Carterton 13.7 per cent and South Wairarapa 11.5 per cent. These are average values of all properties, not median sale prices. The average value of a home in Masterton in January of $375,693 is a record as is the $510,534 in South Wairarapa. Carterton had a 0.4 per cent decline in values to $416,235 in January so its December level of $417,761 remains its record. Graeme Sawyer of Property Brokers said Wairarapa was a popular destination for buyers. “They are migrating to the provinces,” he said. He said the people were coming from “all over the place”, including returning from Australia. Foreign buyers were largely cut out of the market now because of a law change but the market here was not affected and remained pretty good across the range of prices. Prue Hamill, managing director of Harcourts Masterton, said the market was holding up in Wairarapa and some good properties were coming to the market as well. 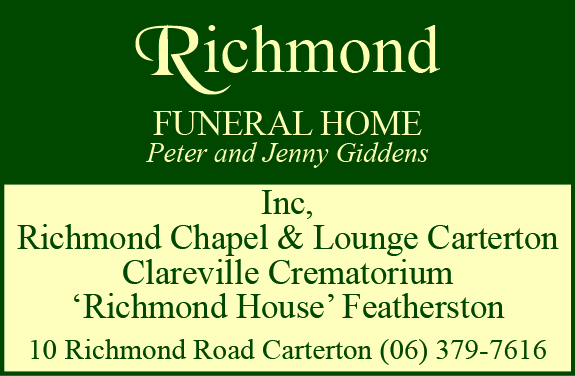 If a family moved here it was not uncommon for other family members to start to have a look as well. She said her company was working on a whole stream of offers and there were more multiple offers for individual properties in February than there had been in January. She said a property in Martinborough with a RV of $1.7 million had five viewings by appointment in one day. Across New Zealand the QV House Price Index showed residential property values increased by a modest 2.9 per cent. Auckland notched up a 0.9 per cent annual decline in values. Wellington city, where the average value is $817,944, was an example of a place experiencing modest growth. It had its lowest rate of quarterly growth since August last year, at 1 per cent. The likes of Lower Hutt and Porirua have seen value growth slow but Upper Hutt still had strong quarterly growth of 5.3 per cent. 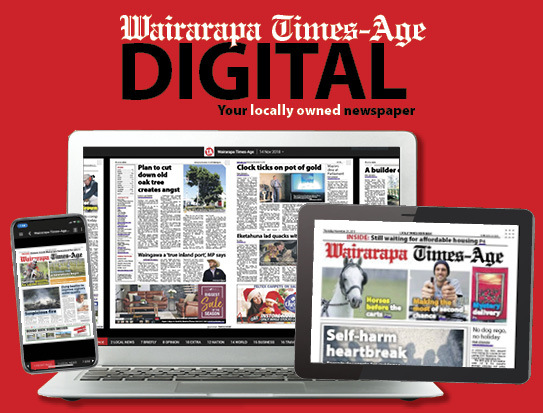 Tararua had quarterly value growth of 5.8 per cent, Masterton 4.2 per cent, Carterton 5.3 per cent and South Wairarapa 3.4 per cent.